An oil change at your local Bellevue Nebraska auto shop: Sounds simple, but there’s some pretty important things to know about preventing oil sludge. Also how you drive around Bellevue Nebraska can have a big effect. Most owner’s manuals will have a list of driving conditions that are harder on your vehicle. Things like stop and go driving in Capehart, short trips to Council Bluffs or Glenwood Iowa, driving in very hot or very cold weather, heavy loads and towing. If some of your driving fits this, you may need to change your oil and do other maintenance on a shorter schedule. This may sound complicated. Some vehicles in Eastern Nebraska have an oil life calculator that takes all of these factors into account and tells you when you should change your oil. Otherwise, talk with your Bellevue service advisor at Yeck's Auto Repair about how you drive and get their recommendation for when to take care of your service. Finally, if any of the steering or suspension parts can be lubed, your technician at Yeck's Tire & Auto Repair will take care of that with a lube, oil and filter service. Some of our customers at Yeck's Tire & Auto Repair are surprised to learn that there are actually two service schedules for their vehicles. One is the regular schedule and the other is the severe service schedule. So you can see that a lot has to do with how you drive, but some has to do with where you drive. Some areas of the country will be more or less severe than it is here in Bellevue, Nebraska. 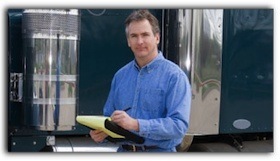 For many, normal driving includes elements of severe service driving. So how do you know? Picture a line with regular on one end and severe on the other, and make a judgment on where you fall. If your regular oil change recommendation is 5,000 miles and the severe service recommendation is 3,000 when should you change your oil? For some, it's closer to 3,000 miles. For others, it's closer to 5,000 miles. 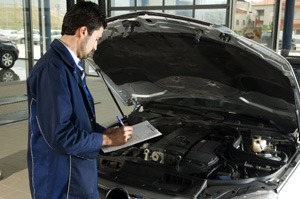 Your service advisor will be happy to have this discussion with you and help you sort it out. So make an honest evaluation of your driving conditions in and around Bellevue. You've made the commitment to take care of your vehicles, so it only makes sense to follow the right schedule. A lot of people in Nebraska have older vehicles. They're good commuters, grocery-getters or toy-haulers. They enjoy that fact that they're paid off, or soon will be. They would gladly like to keep their vehicles for 200,000 miles or more as long as it's economical to do so. There are plenty of people in Bellevue whose vehicles are running after 150,000 or 200,000 miles. We can learn from what they're doing to keep our own cars on the road. There's another reason why the scheduled oil change is so important. It's simple - a Yeck's Tire & Auto Repair professional is going to be looking at your car. All of your fluid levels will be inspected and topped off so they won't get so low that damage can be done. If there is a significant fluid loss, let's use brake fluid as an example, your Bellevue technician can look for the cause of the loss and find the problem before it leads to an accident or costly repair. Your Bellevue service technician will also visually inspect the vehicle for worn belts and hoses, uneven tire wear, leaking shock absorbers and more. Problems get addressed before they lead to repairs that cost more than the car's worth. And your Bellevue service advisor will be able to remind you of other services that the factory recommends you get done. Give us a call to schedule your next oil change today. You can find us online at Yeck's Tire & Auto Repair, or you can find us in Bellevue, Nebraska 68005 at 203 Fort Crook Rd North. Or simply give us a call. Every Bellevue car owner who has taken their car in for an oil change has been told that their engine air filter’s dirty. 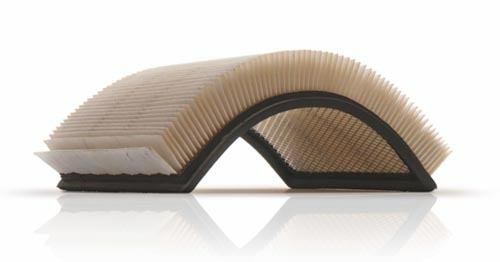 Here’s what goes into the determination of when to change the filter: First, your car owner’s manual will have a recommendation of when to change the filter. Second, a visual inspection by your Omaha technician may determine that your filter it is visibly dirty and needs to be changed. So between your car owner’s manual and your Omaha technician’s inspection there’s really no guesswork involved. Now, most air filters purchased in Bellevue don’t cost a lot to replace. It’s just that Nebraska people hate getting caught with an unexpected expense. On the plus side, though, changing a dirty air filter at Yeck’s Tire & Auto Repair can often save enough on gas to pay for itself before your next oil change. Think about a dirty furnace filter in your Omaha home. When it’s all clogged up, enough clean air can’t get through. In your car, that means that your engine can’t get as much air as it needs to burn the fuel efficiently. So it makes do with less air and has to use more gas to move your vehicle around Bellevue roads. Your car actually needs about 12,000 gallons of air for every gallon of gas it burns. 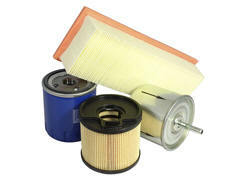 Engine air filters don’t cost much in Bellevue at Yeck’s Auto Repair. When it’s time to change yours, just get it done. You’ll save money, have better performance and protect your engine. Eastern Nebraska & Western Iowa people generally accept that many things in life require regular maintenance: their teeth, clothes, yards and so on, but NE motorists often don't apply the idea of maintenance to their vehicles. If you never brush your teeth or go to the dentist, you'll become painfully aware of your neglect when you get a big cavity. Once the damage is done, we learn our essential lesson and start to take better care of things. Unfortunately, Bellevue people too often learn the hard automotive lesson when they bring their vehicle to Yeck's Tire & Auto on a tow truck. So many times, a little routine maintenance would have prevented a steep breakdown. So how do Bellevue motorists get into the habit of taking care of their sedans? It's so easy to forget; not like cutting the grass which you see it every time you pull in the driveway. Here's something that will help: The key to good sedan maintenance starts with the oil change. Think about it & when you go in for a full-service oil change in Bellevue, your helpful Yeck's Tire & Auto service advisor will check all your fluids. If one of them is low, he can look for the reason why. If your serpentine belt is worn, he'll see it and let you know. Corroded battery cable they've got you covered. And they'll check to see if your manufacturer has recommended any essential services at your current mileage. The fact is that vehicle inspection surveys consistently reveal that over 80% of vehicles have one or more unperformed repair or maintenance service. 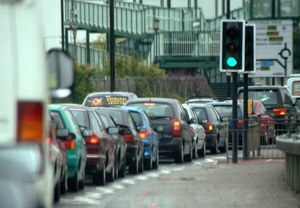 Vehicles are generally very reliable and can take a lot of abuse and neglect but you can only press your luck so long. So when you come into Yeck's Tire & Auto for an oil change, you get a visual inspection of your car and a reminder for recommended services so you can avoid a total failure. And remember that your service advisor can help you work out a maintenance and repair plan for your sedan, prioritizing and scheduling the work to make sure you and your family are safe, and avoid expensive breakdowns. In addition to full-service oil changes, at Yeck's Tire & Auto we also offer chassis lubrication, electrical system test and windshield wipers.